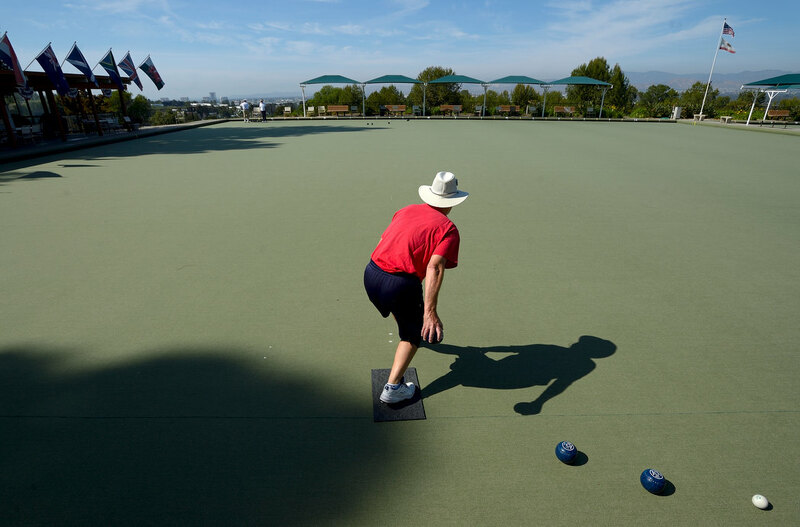 Pat Kelley rolls a ball during a game at the Laguna Wood Village Lawn Bowling Club on Monday. Kelley said he plays about three times a week. This entry was posted in Local News on May 11, 2015 by Jeff Gritchen.